Who doesn’t love shopping while traveling? Stark County has tons of shops to fill all your shopping needs. 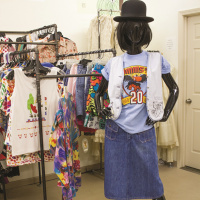 Whether you’re looking for antiques, vintage clothing or unique fashions, collectibles or handmade goods, these shops have it all. Laura of Pembroke has a little bit of everything on your shopping list. With sophisticated fashions, accessories and home furnishings, you can find a whole outfit and more. The ladies at LOP will help you style the perfect look. Another boutique offering clothing and home accessories is Victorian Rose Apparel and Gifts in Hartville. At the shop, you’ll find fine china sets, linens, pictures and furniture and furnishings as well as clothing, outerwear, shoes and boots, accessories, scarves, statement jewelry and more. While in Hartville, swing by Hartville Collectibles. Don’t let the name fool you. In addition to a wide variety of collectibles and one-of-a-kind keepsakes, it also features a beautiful array of women’s fashion accessories, such as the latest designer jewelry and handbags, as well as clothing and other unique items to brighten your wardrobe. If you’re looking to try a more unique style, then you have to check out Vita Boutique. The looks there are one-of-a-kind. Vita is located inside the Hartville MarketPlace, which makes your shopping trip that much more fun. Another unique shop is The Sangria Stand in Massillon. It’s a three-part retail environment—an innovative boutique for curious shoppers and independent thinkers, a wine bar that specializes in sangria made with fresh, organic juices and a studio for wine and paint classes. 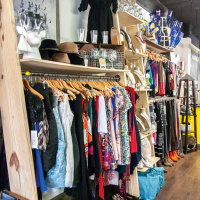 Voted as the 2017 Favorite Boutique by About magazine, Colette’s Vintage in downtown Canton offers exceptional vintage fashions arranged by decade. If vintage home decor and antiques are more up your alley, you have to check out Pocket Change Thrift & Antique in Alliance and Marshall’s Antique Warehouse and Avenue Antiques in Canton. Pocket Change Thrift & Antique sells antiques, primitive items, reclaimed materials, automotive decor, furniture, man cave decor and more in its 11,000-square-foot store. Marshall’s Antique Warehouse specializes in architectural salvage and antique house parts. The staff there is into restoring and bringing old pieces back to life. At Avenue Antiques, you’ll find estate and tag sale services as well as online and in-store consignment options. Venture out to Canal Fulton for all kinds of family shopping fun. For 25 years, The Toys Time Forgot has sold vintage and collectible toys spanning the 1930s to today. And you can’t forget the big bear selection at Keillor’s A Teddy Bear Shoppe. Open for 20 years, Keillor’s is dedicated to collecting bears and committed to customer service. Find all kinds of heirlooms and most major teddy bear brands. Comic collectors rejoice! 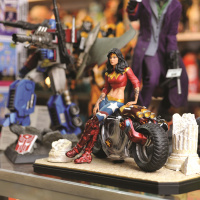 In addition to Toys Time Forgot, Canton has everything you could want in terms of comic books, trades, trading cards action figures and related items. If you really want to take your collection of illustrations to the next level, scope out some of the works of art at Ikon Images: The Illustration Gallery. There is of course plenty of sports memorabilia to be found in Canton as well. Try Chapel Hill Sports inside Belden Village Mall. Cleveland Browns, Cleveland Cavaliers, Ohio State Buckeyes, Pittsburgh Steelers memorabilia and something for all 32 NFL teams await the sports lover. Whether you’re visiting in the spring, summer, fall or winter, there’s tons of artisan shows and makers marts to enjoy. In February, April, October and November, there is an Olde Stark Antique Faire at the Stark County Fairgrounds. Offering antique furniture, clocks, lamps, silver, brass, porcelain, pottery, vintage clothing, vintage books and more, the Antique Fair has more than 100 select dealers and collectors in attendance. In May, the Canton Ceramic Artists Guild, an affiliate group of the Canton Museum of Art, holds the May Ceramic Show and Sale on the first Friday and Saturday of the month in the Wilkof Courtyard and lobby at the Canton Museum of Art. The show displays and offers a wide variety of handcrafted, decorative and functional pottery, clay sculpture and more for sale. 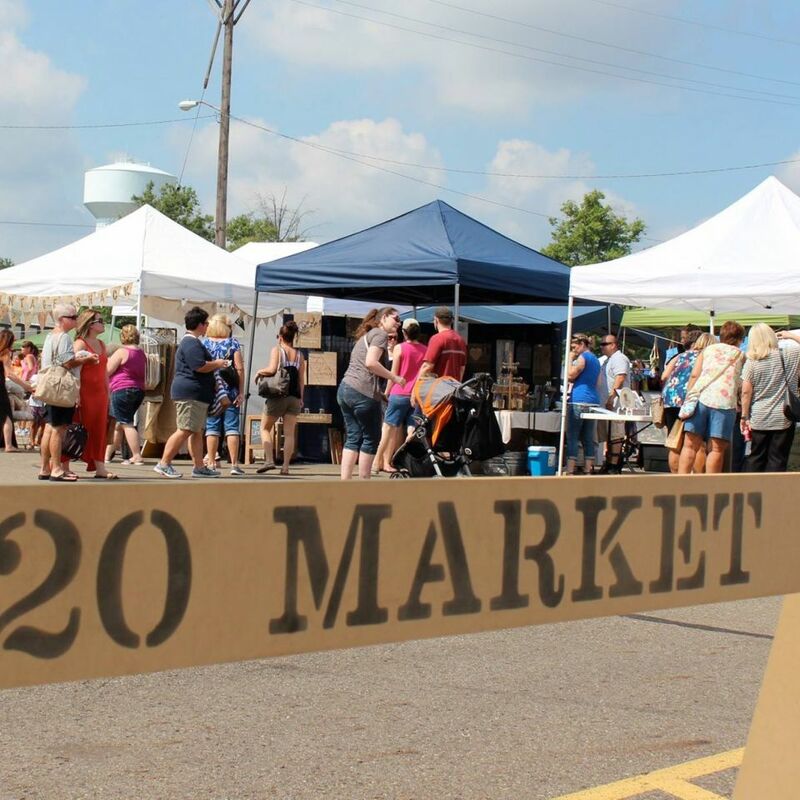 Also in May is the 720 Market, which is named for the ZIP code of North Canton. It’s a unique and curated, special event open-air market at various venues showcasing makers, bakers, brewers, growers and more along with community nonprofits, live local music and food vendors. 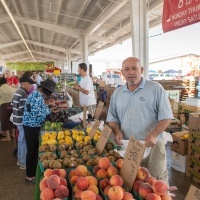 There are two other markets scheduled for July and September. Another outdoor market in July is the Bellissimo Art Show at Gervasi Vineyard. The fine arts and crafts show featuring more than 50 artists and artisans with work on display and for sale is on July 22 from noon to 5 p.m., and it’s free and open to the public. An event like no other is the Monarch Market. 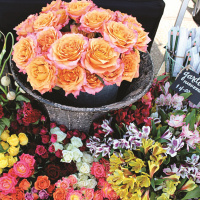 This market spans four states and is at the Stark County Fairgrounds on October 19 and 20. This market brings you the best small shop owners showcasing boutique clothing, gifts, boho chic goods, handmade treasures, vintage finds, gourmet foods, farmhouse and vintage inspired furnishings, home decor and so much more. Come November, locals love the annual Christkindl Markt, Northeast Ohio’s premier juried, holiday-inspired fine arts and fine crafts show. It features artisans from across the United States, showcasing their works throughout the Cultural Center for the Arts and the Canton Museum of Art. Along with the art, the event also includes the Christkindl Café and Markt Bistro, the Sweet Shoppe, a used book sale, a shopping spree raffle and silent auction. June 22, 2017- Hartville offers so many different attracts for all ages to enjoy. Come out and see everything Hartville has to offer you and your family! April 18, 2017- If you are anything like me—you love to shop until you drop! You want to be the best dressed at that wedding you are at and you want your kids to have the cutest outfits for school pictures. I love having the brands and finding a deal, but I also love to have something that is unique—whether it be for me or a gift. Here are my 11 favorite boutiques in Stark County that I love to shop at!